Ferrari team principal Marco Mattiacci says the team is seeing Kimi Raikkonen’s pace improving even if the results are yet to follow. Since Raikkonen finished fourth in the Belgian Grand Prix he has appeared more competitive at most races but is only able to boast a best finish since then of eighth place. While the results have not been impressive, Mattiacci says Ferrari can see the reasons that have prevented Raikkonen from scoring more points but has noted the step up in pace. “There have been a series of events,” Mattiacci said. 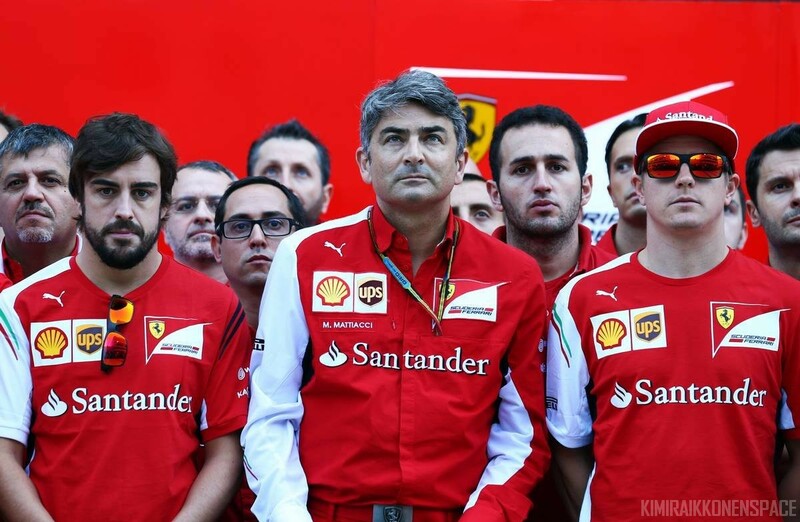 “[In Sochi] Kimi had good pace but unfortunately the start was not a happy start. [Daniil] Kvyat pushed him backwards, so he had a different race to catch up but definitely we see the pace of Kimi improving. Raikkonen himself said he has been learning from his tough season and has felt the difference in competitiveness in recent races. “For sure you learn things but obviously I learned a lot of things in the past and I learned also that sometimes we have difficult times,” Raikkonen said. “The key is to keep working and trying to improve things and get things sorted out. There has been many, many small things that have cost us a lot of points and made our life very difficult.